Movement Medicine is a body based movement meditation practice that will reconnect you to the wisdom of living from the heart, the joy of knowing who you are and the satisfaction of making your unique contribution to life. 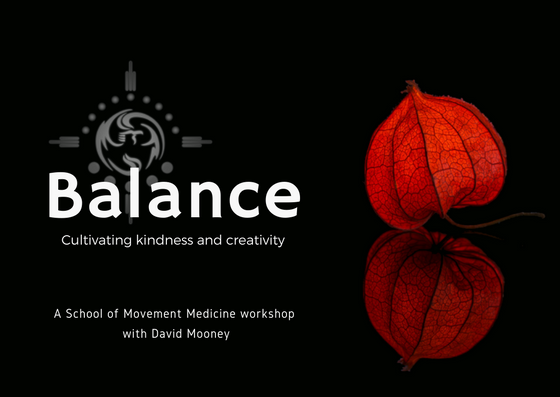 Movement Medicine will deepen your connection to yourself, your creativity and the integrity and guidance of your own soul. We live in busy times, where it seems there is an increase in speed in how we live and we also live in turbulent times, there is a lot going on in the world. It can be overwhelming. We can find ourselves out of balance. In this workshop you will learn how to cultivate balance and presence in body, heart and mind in an ever changing world. Change old behaviours that create imbalance in our life and support your ability to get going, focus and relax, let go. Strengthen your boundaries and your ability to say no and to say yes. Cultivate presence in body, heart, mind in your day to day life however busy, overwhelmed or stretched you may be. Deepen relationship with Yin and Yang, for example the balance between developing kindness and acceptance for yourself as you are and creating the conditions for change where it supports growth in your life. Interrupt negative self talk and replace it with messages that encourage a healthy balance of support and growth. Learn about the relationship between: vulnerability and strength, surrender and resilience, protection and connection, power and sensitivity, kindness and challenge. You will come away with mini practices you can use in your day to day life to integrate the work we do and increase your ability to access balance and connection within yourself whatever is happening in your life. Whatever your experience and reservations about dance you are welcome. Whatever is happening in your life, you are welcome.